Author(s) Sending, Ole Jacob; Pouliot, Vincent; Neumann, Iver B. This book examines world politics through the lens of diplomatic practice. It argues that many global phenomena of our time, from the making of international law to the constitution of international public power, through humanitarianism and the maintenance of global hierarchies, are made possible and shaped by evolving forms of diplomacy. The study of diplomacy is largely dominated by firsthand accounts and historical treaties, with little effort at theoretical discussion. 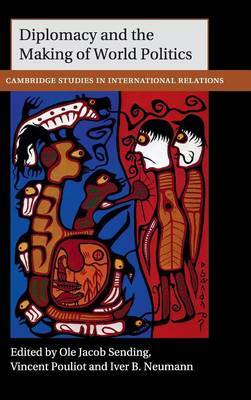 This book shows how diplomatic studies can benefit from more explicit theorizing, and argues that the study of world politics should pay more attention to what goes on in the diplomatic 'engine room' of international politics.